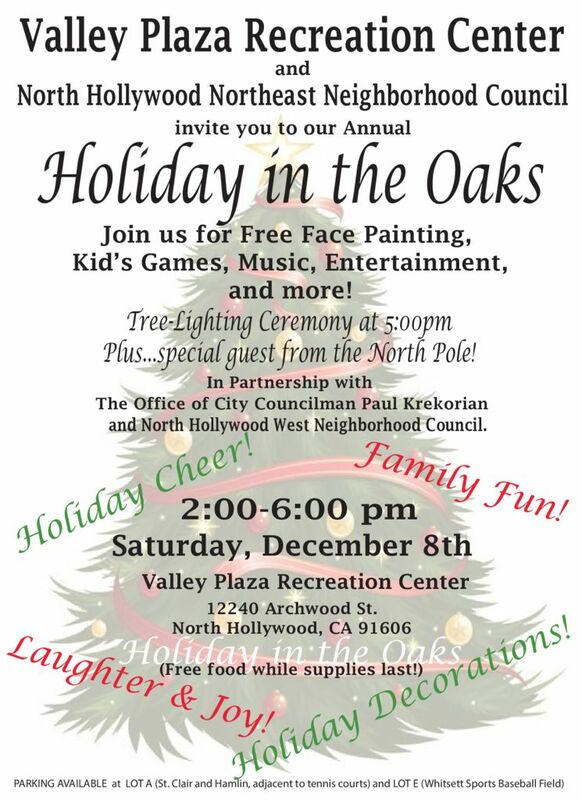 Join us for Holiday in the Oaks at Valley Plaza Recreation Center. Free face painting, kid’s games, music, entertainment and more. Tree lighting ceremony at 5pm. Plus a special guest from the North Pole! Valley Plaza Recreation Center, North Hollywood Northeast Neighborhood Council, City Councilman Paul Krekorian and North Hollywood West Neighborhood Council bring you this event.